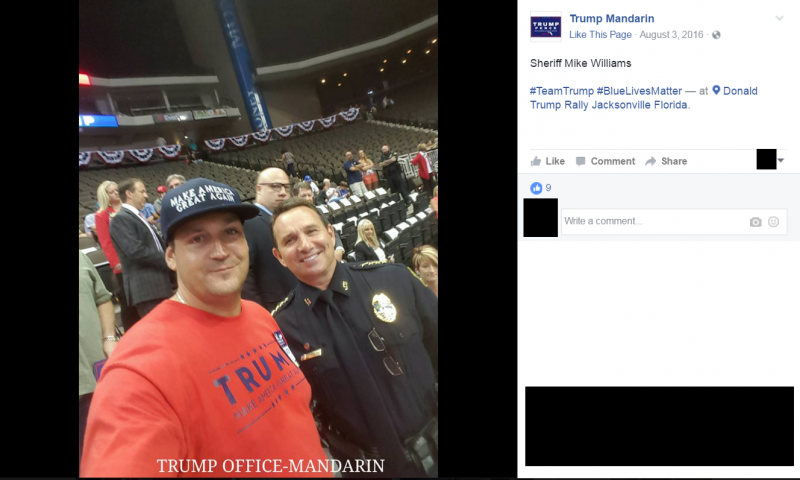 Photos show Jacksonville Sheriff Mike Williams knew peace rally disrupter Gary Snow | Fight Back! Jacksonville, FL – On Friday, April 7, a Peace for Syria demonstration was brutally disrupted by the Jacksonville Sheriff’s Office (JSO) in downtown Jacksonville. 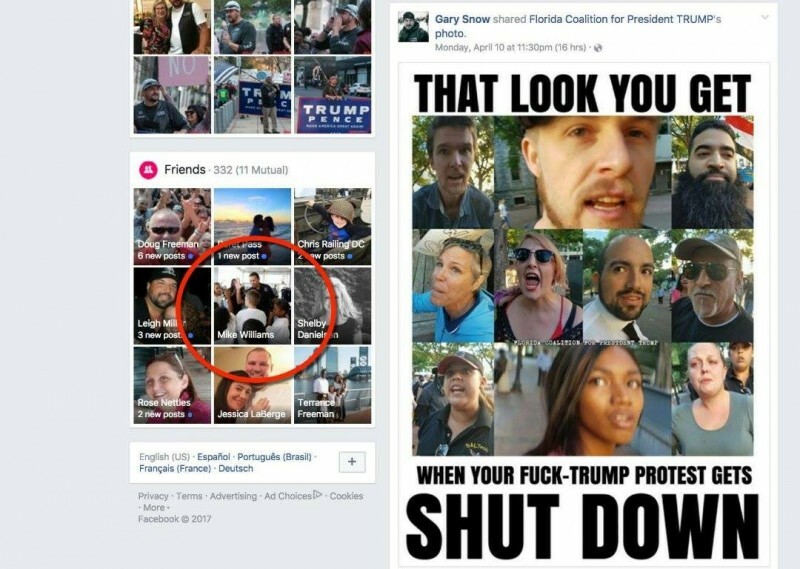 Community members and activists have wondered about a connection between Jacksonville Sheriff Mike Williams and Gary Snow, the right-wing counter protester seen in several videos harassing and assaulting the five activists, now known as the Jax5, who were beaten and arrested by JSO despite committing no crime. Gary Snow was not interfered with in any way and was filmed sitting on a Jacksonville Sheriff’s Office car after the event. This all comes after Sheriff Mike Williams gave a press conference denying any link to Gary Snow. It seems that there is more to this story than meets the eye. It appears that the JSO used Gary Snow as a resource, allowing him to run amok and disrupt the peace demo, before savagely beating and arresting the demonstrators and allowing Gary Snow to go free. The answer is clear - the Jacksonville Sheriff’s Office must be held accountable for their brutality and misconduct the evening of April 7, and all of the charges against the Jax5 must be dropped immediately. The Jacksonville Sheriff’s Office will not be able to hide behind Gary Snow and his actions, despite anything the JSO tries to accomplish along those lines. Readers are encouraged to call the office of State Attorney Melissa Nelson at 904-255-2500 and demand she drop the charges against the Jax5. More information can be found on Facebook: Justice for the Jax5.